On behalf of Jackson Police Chief, Julian Wiser, and the officers of the Jackson Police Department, "Happy New Year!!!" We appreciate everyone who partnered with the Jackson Police Department for improving the quality of life for all citizens. 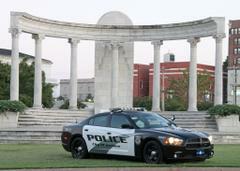 The officers of the Jackson Police Department are looking forward to working with others to build upon current progress.